Irena Sendler was a twenty-nine-year-old Catholic social worker when the Nazis imprisoned Warsaw's Jews without food and medicine behind a ghetto wall. She and her friends began smuggling in aid and smuggling orphaned children out. They hid them in convents, orphanages and private homes. Soon the women were appealing to Jewish mothers to part with their children in order to save them. For five years, Sendler's network cared for the children, disguised their identities and moved them constantly, to keep them from being discovered and killed by the Nazis. They joined forces with the Polish Resistance and received money from abroad to fund and protect the children's caretakers and preserve their true identities, hoping to reunite them with their Jewish families after the war. In October of 1943, Irena Sendler was captured by the Gestapo, imprisoned and tortured. When she refused to divulge anything about her organization, she was sentenced to death. She escaped on the day she was to be executed, thanks to a large bribe from the Polish Resistance. All of the 2,500 children rescued by her network survived the war, and many were reunited with their Jewish families. 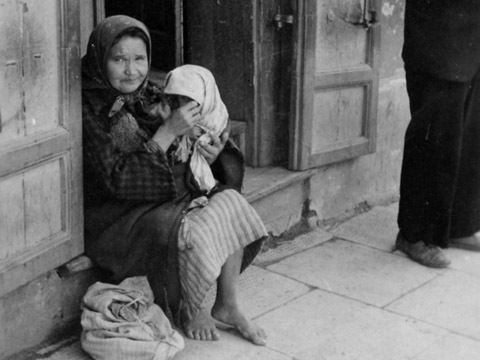 After the war, Communist authorities silenced Sendler and her liaisons because of their connection to the Polish Resistance. Mary Skinner, the daughter of a WWII Warsaw war orphan, has a long-time interest in Poland and a very personal appreciation for the story of Irena Sendler. After graduating from UC Berkeley’s renowned theater program in the 1970s, she went to New York to found The Riverside Shakespeare Company with fellow graduates W. Stuart McDowell and Gloria Skurski. In the 1980s she began working as a corporate marketing executive in New York and San Francisco producing ad campaigns, TV commercials, corporate videos, and websites. In 2001 she began working and studying in all areas of documentary filmmaking in New York. She established her production company 2B Productions in 2003 and produced and directed the short film Kirkut. This is her first feature-length documentary.